We offer you here a South Tyrolean Alpine ham approx. 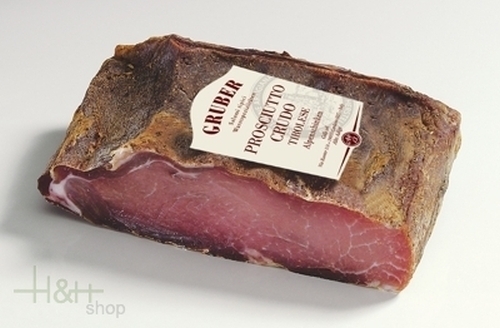 400 gr., made the butcher's shop Gruber in craft way after traditional recipe. 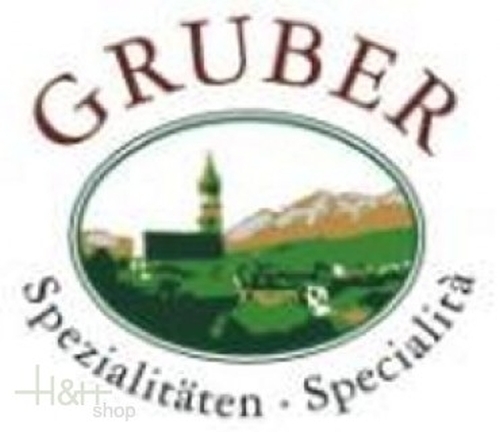 For many years the butcher's shop Gruber has specialised in the production of sausage products and game products. Ingredients: Pork saltedly (with salt, bay leaf and rosemary). Production: The pork is pickled with salt, bay leaf and rosemary for one week and afterwards for at least 4 months air-dried in the dark air-conditioned maturation chamber, in this time the typical crust also forms. Taste: slightly mawkishly, juicy, easily digestible, a real "wellness ham". At sale the article will packed air tight under vacuum. Thus we guarantee a long durability and the safe transport to you. With pleasure we are available to you any time for further information and information. ready for shipment: in stock Original Speck Bacon Villgrater whole flitch ca. 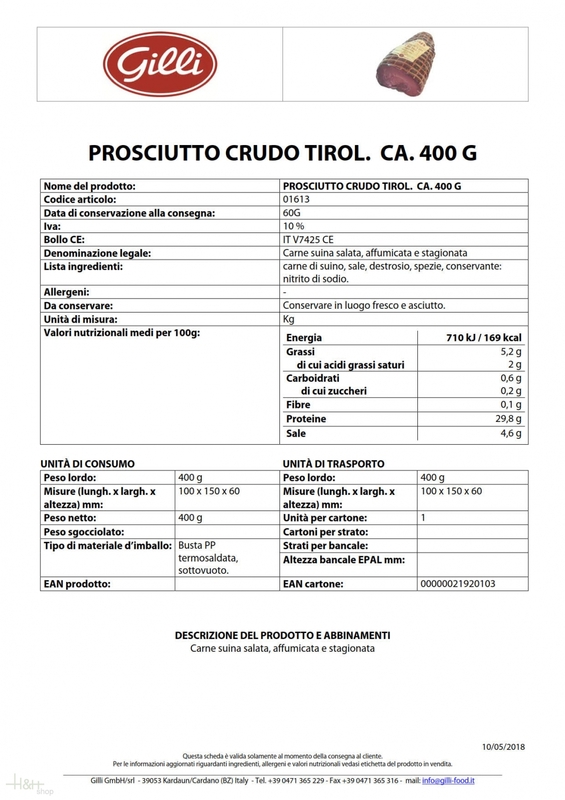 4,5 kg. sapore eccellente. Magro, compatto, dal profumo inebriante. Davvero un prodotto di eccellenza e lo consiglio a tutti. Very good ham, tasty and smooth. An excellent product. But for English customers a word of advice: to take full advantage of the outstanding taste, the ham must be thinly (and I mean \"thinly\") sliced. So, either really sharpen your knife or get yourself a slicer. The Gruber Sudtirol Alpenschinken was awesome, beautiful texture and a taste to remember. The Sudtirol schinken by Gruber was once again superb.